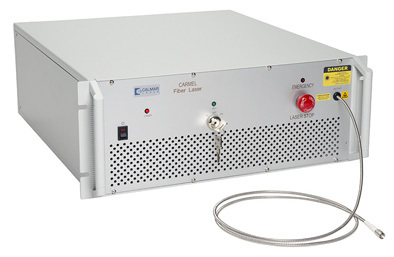 The Carmel F-1350 represents the first in a new series of fiber-delivered, femtosecond fiber lasers with output powers of over 100 mW and pulse widths of less than 200 fs. The system utilizes the same building blocks used in the industry-leading Carmel X-series but with the convenience of a fiber-delivered output. It is the first all fiber-based femtosecond source specifically designed for easy integration into OEM microscope and metrology systems used in the test and characterization of integrated circuits. The Carmel F-1350 provides the perfect two-photon optical probe for high-resolution transient current injection used in the testing and failure analysis of silicon integrated-circuits, as well a wide range of other applications such as telecom component testing, optical metrology, photodetector characterization, multiphoton microscopy, etc.